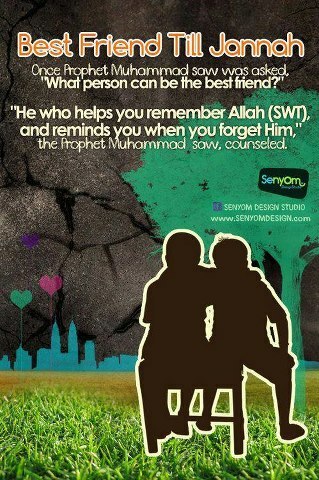 Did you know that your friend can be your way to Paradise? So how we choose our Good Friends? ✓If you see them; they will remind you of Allaah (SWT). ✓Their way of life will guide you to the path of Allaah (SWT). ✓Their speech will increase your Imaan.